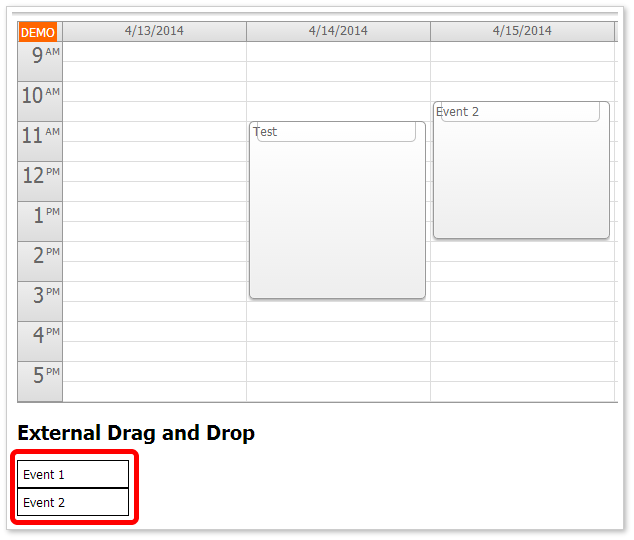 This tutorial shows how to customize the DayPilot event calendar ASP.NET control behavior on touch devices (iPad, iPhone, iPod Touch and other smart phones and tablets with iOS, Android or Windows 8 operating systems). You can customize the "tap and hold" behavior for both events and time cells. You can also add custom drag handlers to the events. By default, the "tap and hold" gesture activates time range selecting. By default, the "tap and hold" gesture activates event moving. The default EventTapAndHoldHandling value is "Move". This allows event moving, which is activated by the "tap and hold" gesture. 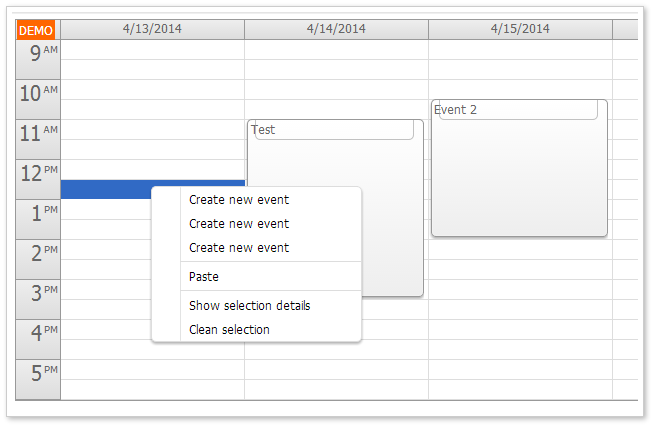 If you map "tap and hold" to a context menu you can add custom drag handlers using event active areas. 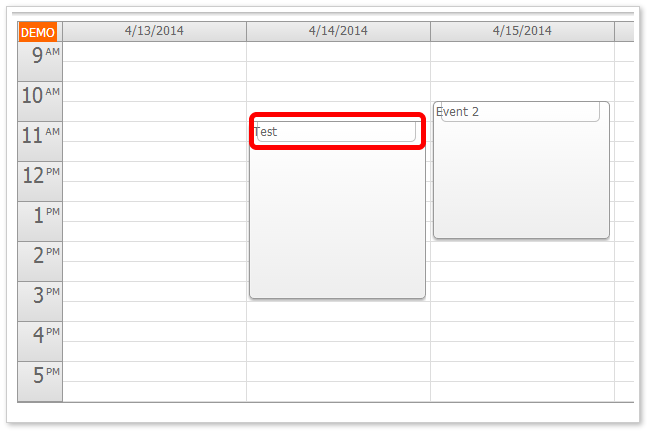 You can drag external items to the calendar. 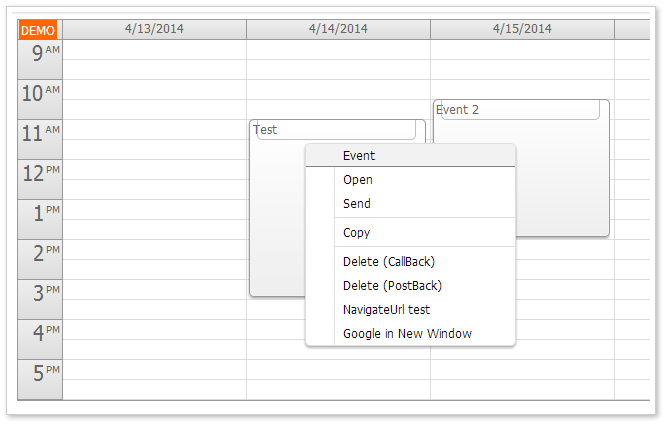 You need to activate the elements in order to make them draggable using DayPilot.Calendar.makeDraggable(item) method.